The Best Day of My Life So Far: Tip #11 Focus on one story at a time. Tip #11 Focus on one story at a time. This tip is one of my favorites because it's really easy and also really powerful. An indicator that an older adult has had trouble trusting people is that he or she goes from one story to another with trouble stopping, causing both the older adult and you to be emotionally exhausted after the conversation. You may be the first person who has reached out to him or her in decades - it's awesome but also an unfamiliar experience for the older adult. So how do you know if the older adult you are approaching has trust issues, before the storytelling begins? You may not. And by the time the run-on stories start happening, it's too late to stop them. It will be hard to cut the older adult off without coming across as disrespectful. 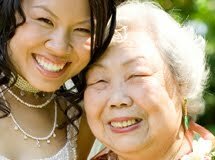 Instead, try this: prevent run-on stories before they happen with every older adult you approach. Set the tone of your conversation to be fun and easy by asking to hear just one single story. That way, when the topic starts to switch, all you need to say is, "That sounds like a great story for next time!" When you put it this way, what you are really saying is that you will be back to spend more time together, and I bet your older adult bud will laugh the happiest laugh you have ever heard. As I get to know my older adult buds through spending time listening to their stories, I find out in hindsight that many of them came in with trust issues - because they would actually write stories about their own before vs. after transformations. 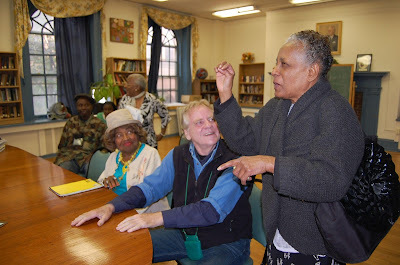 I learned that story by story, step by step, older adults will transform at their own pace. I learned that the simple effort to focus on a single story every time will lead to unbelievable transformations. Below is a pair of stories that taught me that. Tip #10 Get in the groove. Tip #9 Make this your me-time.